Up early (California time, slept in Minnesota time). Work to do on my bike, I’ll call her Jane, because she’s a little plain and it ties in with the Safari name (Tarzan’s best friend). I packed loose bearings in the headset to take the place of the mangled bearing casualty from the dismantling and reassembling of the bike for transport on the plane. A little dicey trying to avoid spilling thirty little steel balls all over the driveway makeshift work area. But… I think it will work. Then, new bar tape, mount the mirror, lights, bell, frame and top tube bags, adjust the brakes, check the shifting and she’s ready for action. Today’s plan was to ride south to the Mexico border to do the ceremonial dipping of the wheel. There are two route options, one goes along Harbor Avenue on the east side of the bay and the other goes along The Silver Strand to Coronado Island. I elected to go down the east side and return through Coronado, taking the ferry across to downtown San Diego. Once you get past the end of the bay, there is a large wetland area you have to circle around via Chula Vista. The closer you get to the border, the more white vehicles with men in green uniforms you see. They seem to be stationed at regular intervals, sitting with the engines running. Another strange thing for someone who lives in an area where the border is substantially less patrolled. 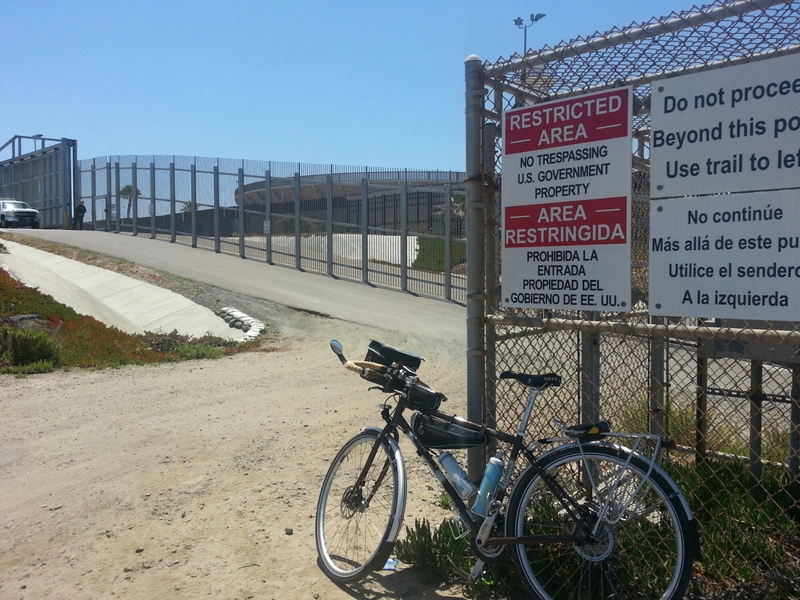 The Adventure Cycling map takes you to Imperial Beach for the border. 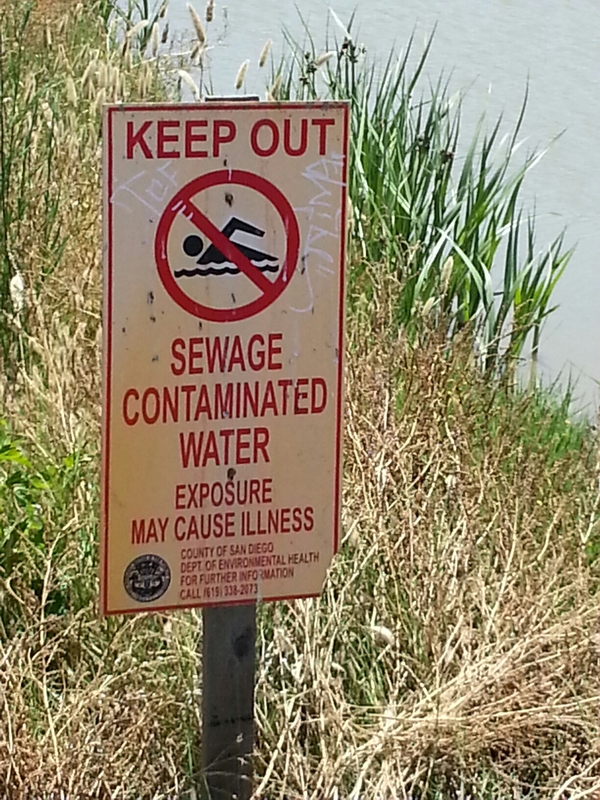 The road changes from paved to gravel to flooded with an off-road detour. A quick snack and off to Coronado. The Strand has a nice bike path along the narrow strip of land separating San Diego from Coronado island. 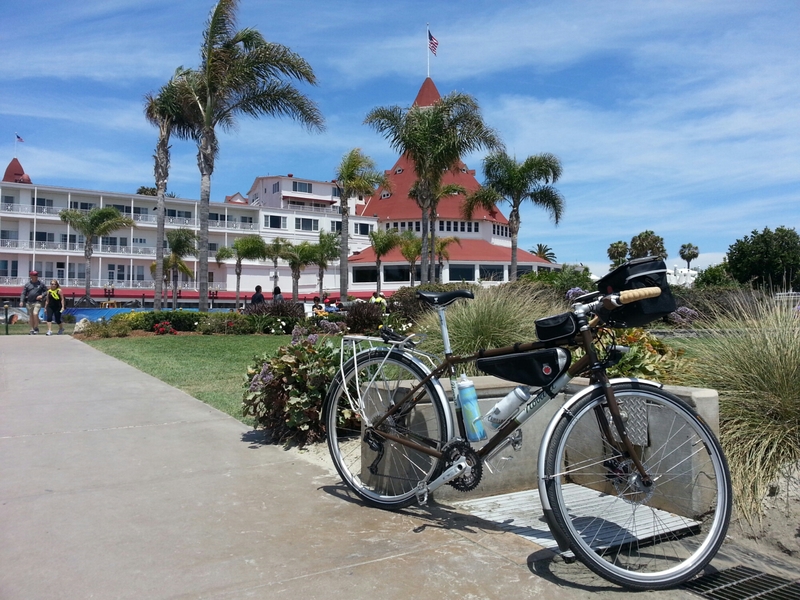 Coronado is somewhat famous for the Navy base and the Hotel Del Coronado. 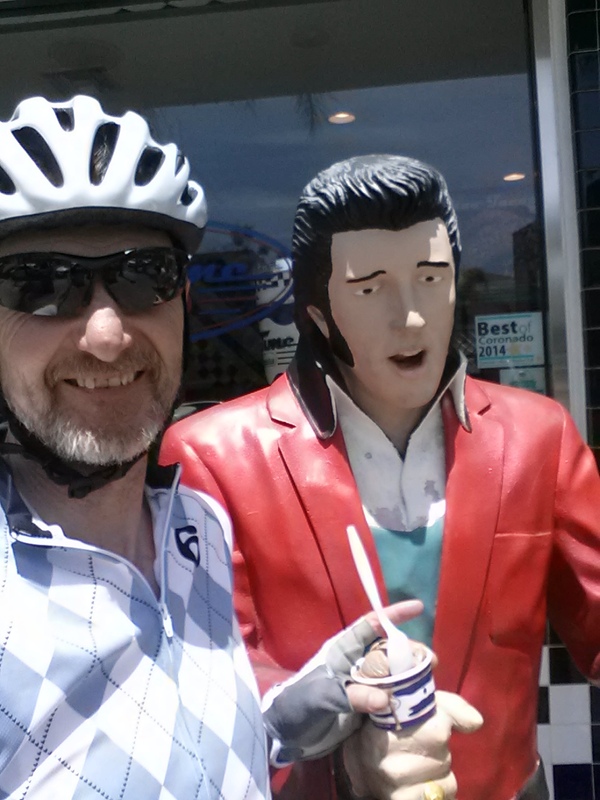 I had a little time before the next ferry so I stopped for ice cream (in training for riding with the boys). 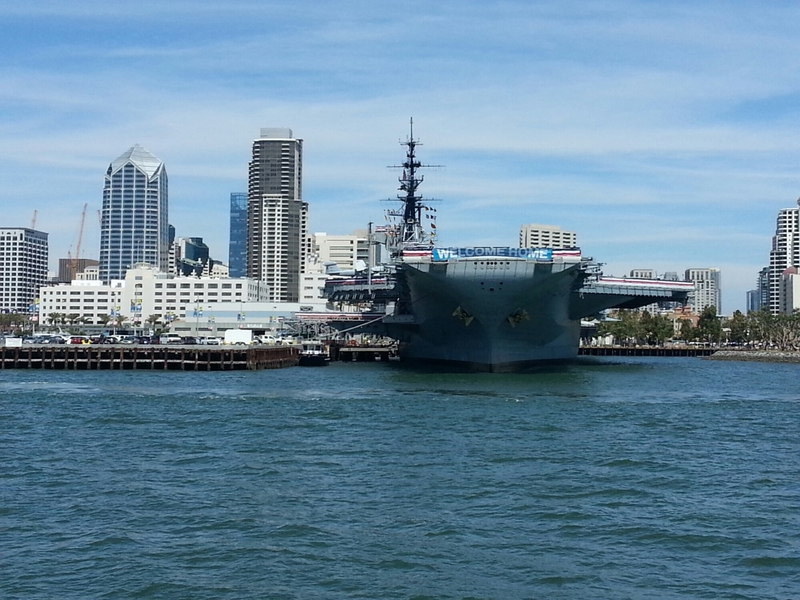 The ferry goes past the USS Midway aircraft carrier. no time to tour. All told, 48 miles, including a couple on the ferry. 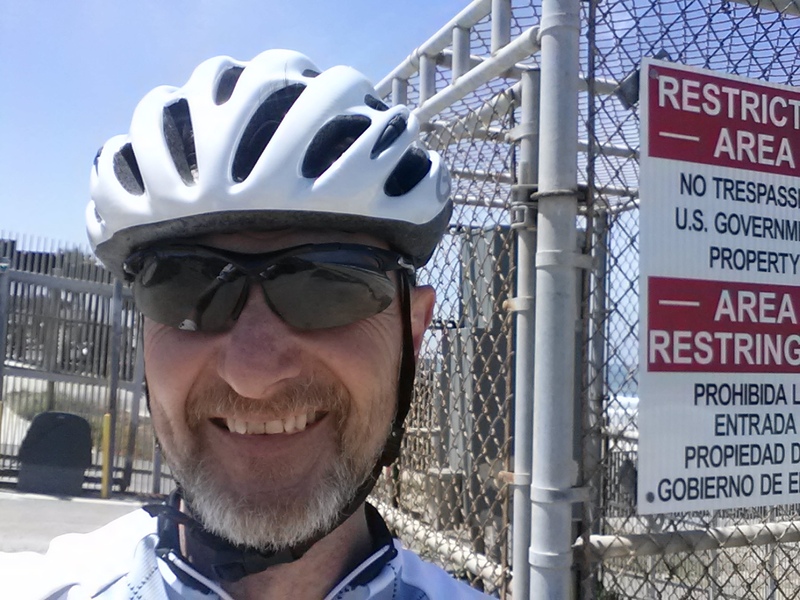 Tomorrow is a rest day to explore San Diego and watch the velodrome races. I don’t expect rest days every other day from Wednesday on. I’m really up for this.